​The Guild Hall Renovation Committee is selling sweatshirts to raise funds for additional improvement projects to the building. 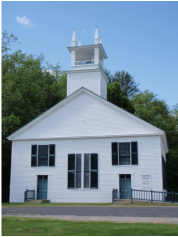 As the official town website for Guildhall, Vt., this site is designed to provide information, facilitate town business, and promote local culture and history. Here you'll find important notices (you can even sign up to receive these automatically) and a calendar of events and important dates. For information about the Guildhall Library, please see its website. Please note that the Town of Guildhall and Essex County (and its Court) are two separate governmental entities with separate offices and buildings. To contact the County Court, please call 802-676-3910; the Essex County Sheriff can be reached at 802-676-3500. 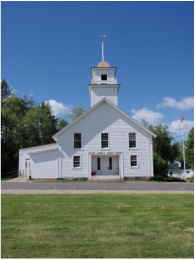 Guildhall is governed by a system of boards and commissions, including the Select Board, the Lister Board, and a Zoning Board as well as a Planning Commission, Water Commission, Cemetery Commission, the Tree Warden, and Auditors. The Town Clerk manages elections, keeps the Town's land and vital records, issues dog licenses, and performs many other duties. 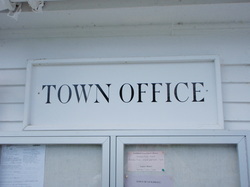 The Town Treasurer manages the town's finances. In addition, we've provided you with an alphabetical listing of all town forms and documents on the Town Clerk page (in the sidebar) so you can go right to the document you need. Site content is overseen by the Town Website Editorial Board, and your feedback is most welcome.